According to Forbes, 52.3% of Americans are unhappy at work, with the majority of them citing a lack of interest and an inability to grow in their role as the primary reasons for their dissatisfaction. Don’t let yourself or anyone in your organization be part of the 52.3% who are dissatisfied with their jobs. Susan Katz can help you take control, define what you want, teach you the necessary skills to reach your goals, and above all EMPOWER you to make a change. Susan draws upon the many breakthrough experiences, actionable insights, and inspirational moments from her career to help your audience find clarity, confidence and focus to maximize their potential. Susan has won several leadership awards and been named twice as one of Maryland’s Top 100 Women. Prior to starting her own business, Susan began her career in sales before rapidly working up to executive management for a major publishing company, in record time. In every interaction that Susan has, her business acumen, experience, and knowledge are clearly evident and a testament to her success. Susan is ready to serve as a high-impact speaker for your next association or industry function, networking event, sales meeting, leadership retreat, corporate training seminar, or other business event where you need to give your audience a one-of-a-kind memorable message. She delivers straight-shooting intelligence and actionable ideas to make a difference in your audience’s careers and organizations – starting immediately. 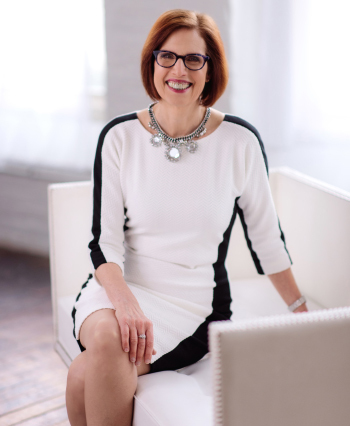 Whether you would like Susan to speak to a few individuals in your organization or at one of your events, you will be amazed at how Susan’s expertise and perspective clear the path to success for you and the team. From any one of Susan’s sessions, you and your team will gain the knowledge and skill sets needed to define goals, organize and prioritize tasks and projects, and get into immediate action to grow personally and professionally. Business leaders often discover that the biggest challenge in their day is figuring out how to focus and how to do the right things. This speech is an eye-opening chance for your audience to ask themselves some tough questions and get ready to make significant forward progress on the biggest opportunities facing their businesses. How engaged are your employees? Do you know how to answer that question in a measurable way? Lots of organizations claim to treat their employees as their most valuable resource, but there is often a gap between what management says is happening and how employees actually perceive their workplace. Learn how to truly connect with your employees to generate their best ideas and unleash greater productivity. Every business leader should learn how to enhance how the team solves problems. This presentation is focused on creating a circle of trust and respect where business leaders can share their honest opinions about their latest challenges, opportunities, and create actionable ideas for how to improve. Why does “networking” often get a bad reputation? This presentation will address common misconceptions about networking and teach your audience how to use new networking strategies and techniques to get the most out of your next networking event, and learn to find opportunities for networking in everyday life. Susan will teach your group how to play to their strengths and become “natural networkers” by making networking into a fun and mutually rewarding activity based on sharing, respect, and genuine human connection. The best leaders are not just great at doing their job, they’re great at making the people around them better. This presentation will show your audience how to get the most out of your team members, by cultivating a strong team culture, by creating open channels of communication, and by generating a spirit of trust, mutual respect, and team-first thinking at all levels of your team. Learn what it takes to build a more effective, trusted working relationship with your manager while adding tremendous value to the organization, and increasing transparency and credibility within your team. Today’s leaders are facing more unique communication challenges than ever before – how can you break through the noise and clutter and make sure that your message is heard? And how can you make sure that your leadership communication is a true dialogue so that all voices are heard with your employees, partners and key audiences? Innovative organizations aren’t afraid to rethink the fundamental aspects of the daily work routine – and one of the biggest areas of the workday that is begging for creativity and disruption is the often-dreaded MEETING. Learn how to create more effective meetings that send people back to work feeling focused, purposeful and re-energized. Leadership is not just a job title, it’s a way of life! If we’re lucky, we’ve all had the chance to learn from some great leaders during our careers. This speech will focus on some common sense, clear-headed concepts for how business leaders can maximize their leadership potential by inspiring people to achieve their goals for the organization and for themselves. Starting your own business is not the only way to be an entrepreneur – with the right mindset, you can find powerful ways to be entrepreneurial within your current organization. This presentation will help your audience see new possibilities to chart a new career path by rediscovering what they love most about work – and doing more of what they do best everyday. Unable to attend a session? Susan’s book Create Your Dream Job: Change Your Mindset, Change Your Life is designed to provide you with the missing blue-print in your professional life. Learn more here. "I wanted to thank you for your 'Becoming a Strategic Manager' presentation at this year’s US Chamber Institute for Organization Management. Every year at IOM one or two presenters connect with me and what I am working on in my professional life. This year you win the prize! Among the concepts that connected with me (and there were many) was 'head trash, think like a leader, and engage people.' So thank you – you helped make a difference to me and the initiatives I am working on for success." "We brought Susan Katz in to facilitate the kickoff of our fund raising initiative for Girls Scouts of Central Maryland's Distinguished Women's event. The session was extremely informative, interactive, engaging and helped everyone on the committee develop an action plan for 2015. I would strongly recommend Susan to anyone needing to get focused, inspired and get into action!"